Sikom GR-3 er et slaverelé for montering på DIN-skinne i sikringskapet. GR-3 har 3 stk 16A / 3600W reléer med tilhørende innganger for temperaturfølere slik at reléene kan brukes som termostater og veksle mellom spare- og komforttemperatur. 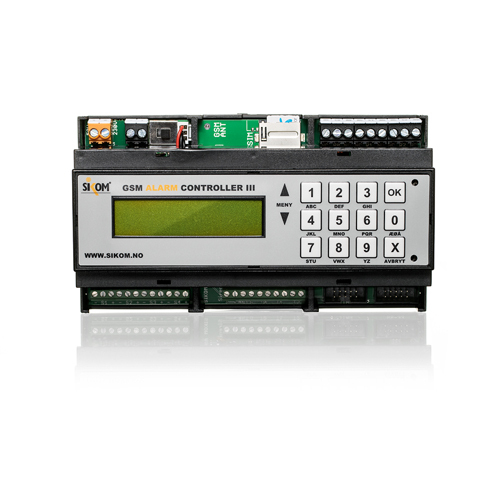 Central Unit is the starting point to controlling every single Node in your home or cabin. All control signals are sent via Central Unit. You send commands to Central Unit from you mobile to turn the power on or off, and Central Unit sends the command on to Node. Similarly, alerts from Node are sent via Central Unit to your mobile. Place Central Unit in a room which is as central as possible so that the distance to all nodes is as small as possible.